A rule change to construction standards on city roadways has residents of one of Bronx community concerned that fire trucks won't be able to help them in an emergency. The city Department of Transportation changed its rules regarding fire truck access around the same time construction began on a $40 million road project that included the narrowing of a Bronx street, the I-Team has learned. Home video recorded by a neighbor shows an FDNY fire truck having difficulty turning onto Pelham Parkway South, one of the newly redesigned roads, during a joint FDNY and DOT test to determine if emergency vehicles could negotiate turns on and off of the street. In 2009, the city Department of Design and Construction submitted a final design for the Pelham Parkway reconstruction project. In the summer of 2010, construction began on the new, narrower, Pelham Parkway South. That same summer, the DOT amended its Street Design Manual. But on July 9, 2010 the guidelines were changed to read, “…all street designs must consider FDNY, other emergency vehicle, and sanitation vehicle access needs.” The difference between "must meet" and "must consider" emergency vehicles means a lot to those who live and work on Pelham Parkway South. "I would like to know who is responsible for any type of amendment that would allow a road like this to be constructed," said David Stevens, an orthodontist whose office is on the block. Stevens helped organize a neighborhood group called the Concerned Citizens for Pelham Parkway South. The group has been protesting the construction for months. "There's no justification for that sidewalk and this road is dangerously narrow,” said Stevens. FDNY fire code calls any road that is less than 38 feet “substandard width.” Fire code also requires private-access roads like driveways to accommodate emergency vehicles with at least 30 feet of clearance. With the new sidewalk on Pelham Parkway South, the road is now only 26 feet, and when cars are parked on both sides it narrows to just 11 feet down the center. It’s just enough to allow a fire truck through, but the home video taken by a resident shows a ladder truck having difficulty turning from a side street -- making several attempts and having to stop and back up in order to avoid hitting vehicles parked on either side of the street. The video was shot as the FDNY was conducting a test on the refurbished road to determine if its trucks and personnel could respond quickly in case of emergency. “Imagine the house is on fire and the kids can't get out," a voice on the video can be heard saying. The I-Team measured several surrounding streets, both perpendicular and parallel to Pelham Parkway South, none of which were shorter than 33 feet wide. Stevens claims the sidewalk could have been built into the 20-foot wide grass median that separates Pelham Parkway South and the access road, keeping the road at its previous width. City officials told him the grass median is considered “park land” and to build on it would require legislation in Albany. In letters to concerned residents, the DDC explained that such legislation could delay the project about two years, but the I-Team has learned the bid proposals for the project went out in 2008, at least two years before any ground was broken. “This is something that I would have been more than happy to take up in the legislature,” said State Sen. Jeff Klein, D-Bronx. Klein lives in the area and told the I-Team no one from the city ever asked him to propose legislation -- something he said would have easily passed. He criticized the decision to change the Street Design Manual. "It's very fishy. It smells to me like bureaucrats sitting behind a desk not wanting to make a change that would actually make a project safer so they changed the rules and that's wrong," said Klein. 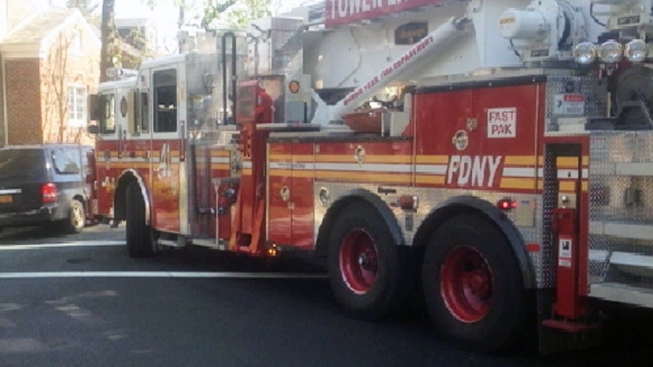 As a result of the ladder truck test, FDNY is requesting that some parking be eliminated on Pelham Parkway South to allow the trucks easier access. "We can access and operate safely and effectively on the Pelham Parkway service road, and we work closely and cooperatively with DOT on all major planned roadway changes to ensure emergency access is provided for our vehicles and personnel," FDNY spokesman Frank Gribbon said in an email. Despite assurances about Pelham Parkway South, critics of the DOT concerned the decision to relax standards in the Street Design Manual could set a precedent for other roads to be dangerously narrowed.